"Let Wings Take You will be cherished by nature lovers and poetry enthusiasts alike. Written by an avid observer of cranes, these poems are as much about the life and habits of cranes as about human experience and aspiration. Marilyn Peretti's wings of imagination will brush each of us in a unique way and lift us to a higher altitude of inspiration." "Marilyn Peretti expresses in poetry what I feel about cranes but am unable to adequately express in words. Her poems bring to me the spiritual essence of these remarkable birds that have inspired poets since times untold." "Born of her deep concern and admiration, Marilyn Peretti's poems are tributes to the great winged cranes and other fragile treasures of the earth. With her work, she gives the reader wings of words, and urges them to 'reclaim your own place in the sky'." 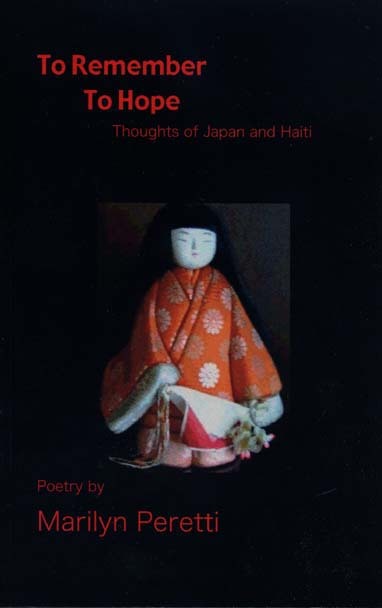 New Poetry Book, 2012: To Remember To Hope, Thoughts of Japan and Haiti. Here the author invites you to come into the spirit of great loss, - regarding the tsunami and earthquakes - recovery efforts, and hope. To purchase this book, go to www.blurb.com > the Bookstore > Author's name or Book Title. Rumors float all the way to Tokyo. Though Nanyo is a distance from Fukishima City. and fathers, and fathers before. the healing nectar of cherry blossoms. 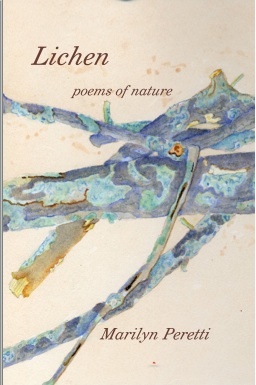 Here is a small, gentle book of Marilyn's poems about various nature subjects. selecting their "Bookstore", and the title or author's name. 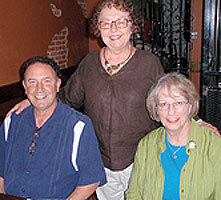 Awarded prizes for numerous poems by Poets and Patrons of Chicago, Illinois. First Prize for poem Divestiture, by The Labyrinth Society, 2006. Awarded Honorable Mention for Pads People, by Metro Dallas Homeless Alliance, 2009.
by Current Literary Competition, 2012, Ann Arbor, Michigan. First Prize for poem, Are You Abdullah?, in category "Hope"
Past poems published in: California Quarterly, Christian Science Monitor, Black Bear Review, Rockford Review, Urban Spaghetti, Seeding the Snow, The Bugle (Int'l Crane Foundation), Our Developing World's Voices, Luke Lookout, Prairie Light Review, Parnassus Literary Journal, CURRENT of Ann Arbor, The Leaflet, (Nature Artists' Guild of The Morton Arboretum), www.poetrysky.com (Chinese translations), Talking River Review, Arts Beat magazine, www.seastories.org by Blue Ocean Institute, 2005 anthology Beyond Katrina, the 2006 anthology on endangered species, The Dire Elegies, program of Breast Cancer Connections (Palo Alto, CA), CRAM 2, CRAM 3, CRAM 4, CRAM 6, CRAM 8, CRAM 10 (Chicagopoetry.com Press; name changed 2012 to Jrnl of Modern Poetry), Journal of Modern Poetry, 2013; Kane County Chronicle's Poetry Pages, 2008; Talking River, 2009; The Deronda Review, 2010; posted in Highland Park/Evanston busses, January, 2010; online 2013, 2016; Fox Cry Review (U.Wis), 2012; seven poems in The Ultimate Chicago Poetry Anthology, 2012; Kyoto Journal #77, 2012 (pgs 102 & 105); Tipton Poetry Review, Fall, 2014; Fukishima: Words Fly Away, 2014; New Verse News - www.newversenews.com (8 poems), 2015, 2016; Wilda Morris Poetry Challenge, 2015, 2018 Li Poetry, Chinese bi-monthly poetry journal, Winter 2016; Grey Sparrow Journal (online), 2017; Snowy Egret, Spring/Autumn 2017(issued 2018). Read good poems at her poetry blog: PerettiPoems.